Underdog developer scores one of the last available Uptown sites, gunning for the next game-changing relocation. Kaizen Development Partners has acquired one of the most coveted sites in Uptown, and is about to build a Class AA office building on the tract. Dubbed The Link, the new tower will straddle the border between Victory Park and Uptown, creating a bridge between the two bustling markets. Kaizen, the developer behind the One Bethany office campus in Allen, beat out several “blueblood” developers vying for the prime 0.70-acre plot, which was sold by restaurateur Mike Karns. Thirty-Four Commercial Founder Sarah Hinkley brokered the deal on behalf of Karns and said that the sale was about vision and fit, not just numbers. “We were tasked with finding the right buyer/developer who would strengthen the neighborhood,” Hinkley said in a statement. The story Karns bought into was one of unification, beautification, and grit. “One of the stories that resonated with him was that we are not completely unlike him. 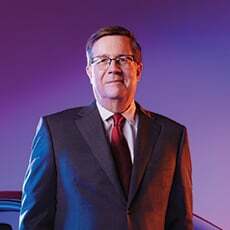 We’re the underdogs,” Evers told D CEO. Evers and his partners, Nick Summerville and Lee White, were at an executive retreat in October when Karns reached out to let them know he was ready to sell. And he wanted to move fast, giving Kaizen just five days to close the deal. Evers and his partners were able to execute, thanks to all the due diligence they had done in the months leading up to the closing. “I can’t tell you how many days the three of us, as we were coming in to work, would just stop by that site and say, ‘What could be?’ and just dream about it,” Evers said. Armed with a green light for their dream project, Evers and his partners took the idea for The Link to BOKA Powell and asked for a building that pushed the envelope. The firm jumped into action and held an internal design competition. The result is a tower with a flowing glass façade and futuristic flavor, resplendent with green space and brimming with amenities. 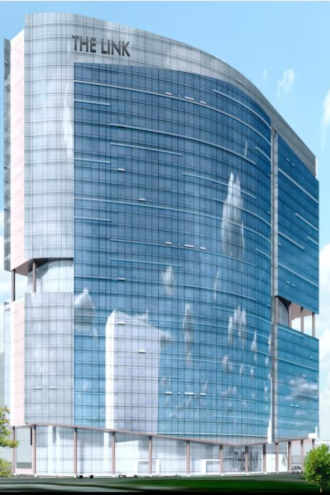 The Link will rise 22 stories and sit on a triangular site formed by intersections of Cedar Springs Road, Akard, and Ashland streets, and encompass 300,000 square feet of Class-AA office space. It will boast unobstructed, protected views overlooking the Dallas North Tollway to the north and downtown Dallas to the south. 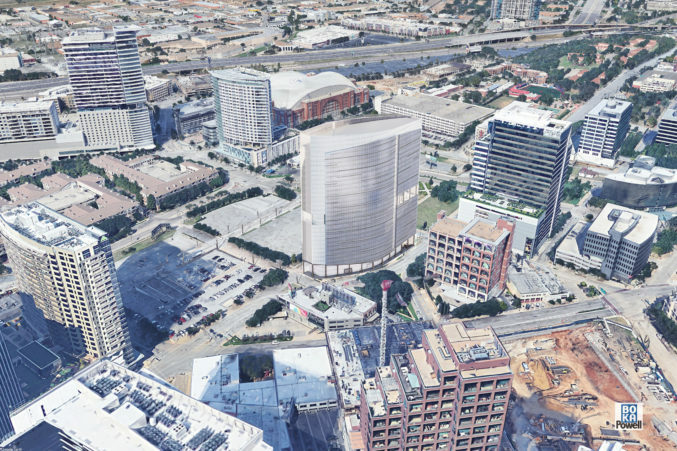 The building, just a short walk from Klyde Warren Park, will hold two restaurant concepts, a pop-up lunch concept, outdoor terraces, a fitness center, a conference center, and golf simulators, and provide 3-per-1,000 parking. The Kaizen partners hope The Link will create positive net absorption for the Dallas office market. 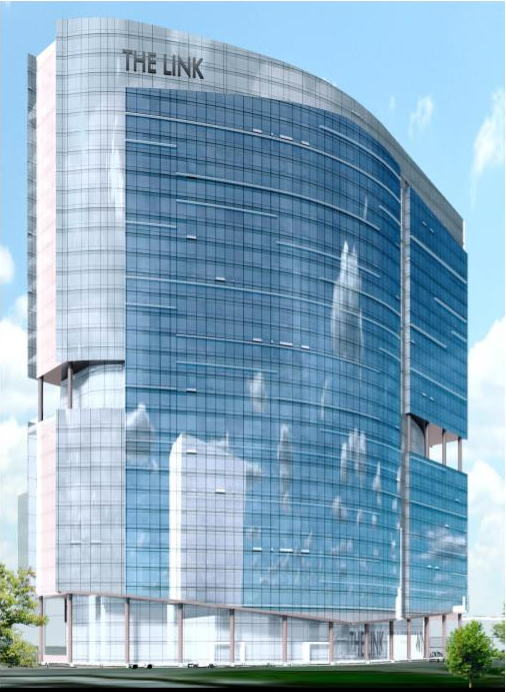 Kaizen plans to demolish an existing office building that sits on the site next summer, and deliver The Link in late 2021.